Whew, I think I am on a roll! I need to get a few more holiday crafts complete for another upcoming arts and craft fair. So, I have visited a few of my favorite craft challenge blog sites and here is what I have been inspired by! Just look at this! How great is that? 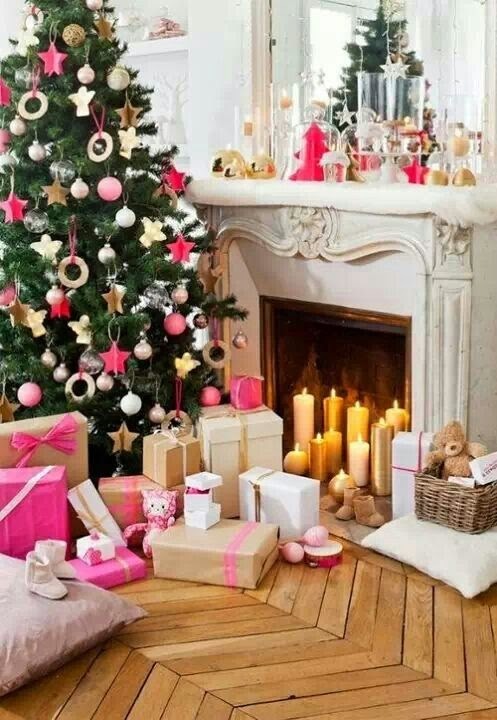 pinks, kraft, gold, silver, green, glass, warm wood, and a tree! 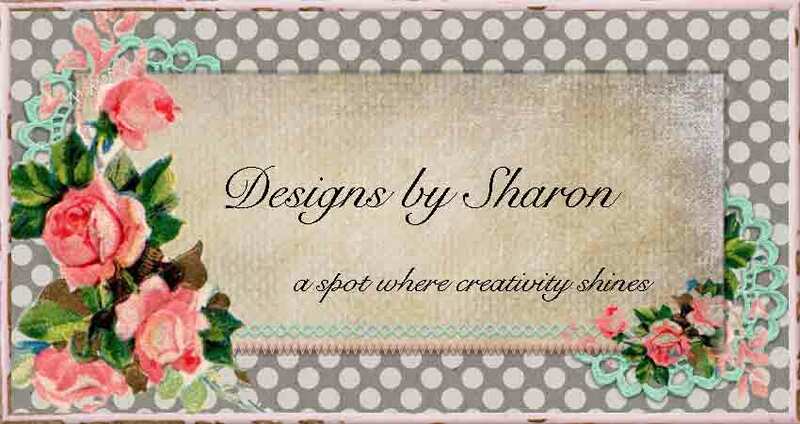 And for good measure, lets swing by a favorite shabby challenge site, and see what they have. Sugar Creek Hollow. They want a vintage/shabby Christmas card with a twist: non traditional colors. Here is the recipe: The card base is made from Kraft card stock by Paper Trey Ink. The pink polka dot pattern paper is actually from a baby girl collection. The text paper is 'twas the night before christmas' by Amuse Studio. The blue and pink floral paper is from Maja Road spring collection I believe. I matted the text and floral papers onto kraft card stock by Recollections. I wrapped a piece of cream satin ribbon by Paper Trey Ink around the floral paper. I then added a piece of white silk ribbon by Paper Trey Ink. I tied a multi-loop bow with the silk ribbon. I tied a clear button to the center of the multi-loop bow with thin silver twine. 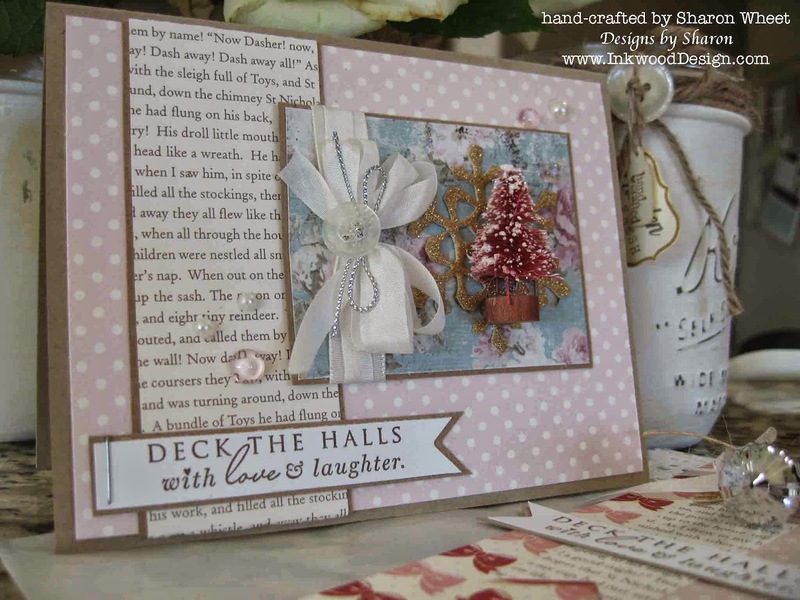 I added three pinkish pebbles and three half faux pearls to the card front. My focal piece is made with a glitter paper die cut snowflake and a 'painted' bottle brush tree. I spritz a 'white' bottle brush tree with ink and then painted white arcrylic paint on the tips of the branches. I stamped the sentiment and matted it with kraft paper. I adhered and stapled the sentiment to the card front. thank you for stopping by! 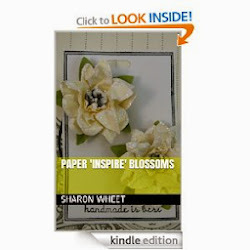 I hope you have been inspired to craft something beautiful and non traditional! A beautiful card, all the details and the red tree look fantastic. thank you for joining us at SCH this time. Beautiful vintage card love the little tree and the lovely bow . Ooohhh....this is beautiful!!! Love the shabby/vintage feeling you created. thanx for joining us at SCH. Love the vintage feel of this! I know if I had those gorgeous trees in my stash, they'd never get used (who me, a hoarder?!) but it looks gorgeous here! Thanks so much for joining us at Festive Friday! Beautiful vintage card and great colors. Thanks so much for joining us at Sugar Creek Hollow!! Oh, how LOVELY!!! And I love the little tree embellishment! It's absolutely perfect for our Festive Friday inspiration! Thanks so much for joining us!